It is a fact that Sony has produced some of the best cameras in the market. But it is also a fact that some of the brand’s current models experience several annoying performance issues. Thankfully, the latest Sony firmware update that was released in June this year successfully addresses those problems. Here are some of the major problems that have been overcome by the new update. Sony A9 was launched in April 2017 and it is the brand’s flagship model as of this year. As a flagship model, the public has high expectation to this sport camera. Unfortunately, during the first several months after the camera was launched, many users reported that it had overheating problems. This camera is equipped with an overheating indicator, which is a great feature considering the purpose of this camera. However, according to the photographers, the overheating indicator was turning on too fast for such a premium model. It overheated after only 20 minutes even though it was used in normal condition. Maybe it was just a problem with the indicator because the camera itself still performed well and didn’t shut down after the indicator turned on. However, it still can alert the photographers and make working uncomfortable. Thankfully, the problem is reported to be resolved after installing the latest update. The users of A7 series camera also reported a big problem which was called the “Star Eater”. There is an issue with the algorithm of this camera series. Prior to the updates, if you are taking the pictures of the star in the sky, A7 cameras will regard the stars as noise and they will be automatically removed from the images. It really can be a huge problem if the starry skies are actually the stars of your pictures. But this noise reduction issue also has been solved with the new Sony firmware update. So make sure you download it if you own A7 cameras. 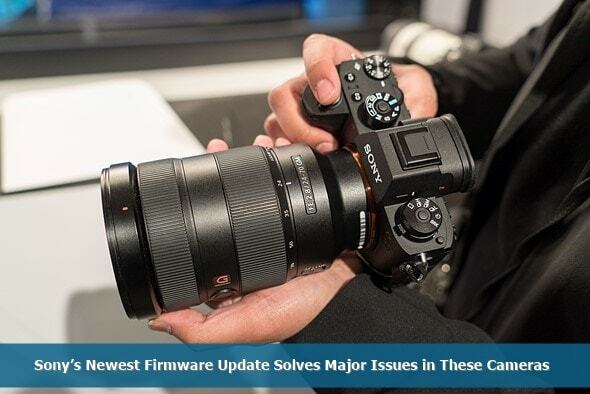 0 Response to "Sony’s Newest Firmware Update Solves Major Issues in These Cameras"